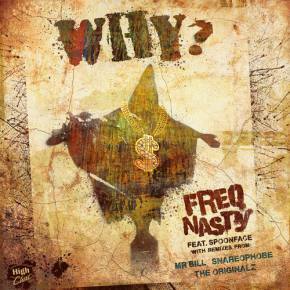 For more than a decade, FreQ Nasty has been one of the leading figures in bass music at all tempos. Raised a Kiwi, Darin McFadyen moved to London and joined up with Botchit & Scarper, putting out cutting edge tracks like "Boomin' Back Atcha" which defined the hard-hitting sound sound of the era. Moving through breaks, and into dubstep and grime, FreQ Nasty has managed to stay ahead of the curve throughout his career. His latest release, Dread at the Controls, features a mixture of dub, drumstep, dancehall, and FreQ's signature bombastic bass. In addition to his illustrious career as a DJ, McFadyen is passionate about using his platform to enact social change. Through his website, Giveback.net, he has raised money and awareness for disadvantaged youth in Australia, brought water to villages in Ethiopia, and fought for the rights of Tibetans. Working with fellow musicians and activists like Bassnectar and Michael Franti, FreQ Nasty has made it possible for fellow artists to easily raise money for their pet projects through VIP ticketing, signed merch, and exclusive downloads. 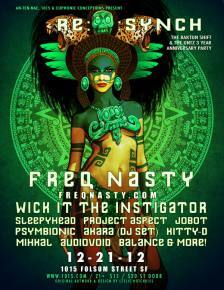 FreQ will be putting his good deeds into action as part of the Monsters of Bass Tour, which features MartyParty and Opiuo. The tour kicks off in February. Next week on The Untz Podcast, French electro and synth-pop sextet Tahiti 80 will be featured on the program. The hip, indie pop icons have influences ranging from Aphex Twin to the Zombies, and are constantly releasing dance remixes of their tracks through their label Human Sounds. First, the band is releasing the Darlin EP on Monday, January 31st, then their full-length album The Past, the Present, and the Possible comes out February 22nd. 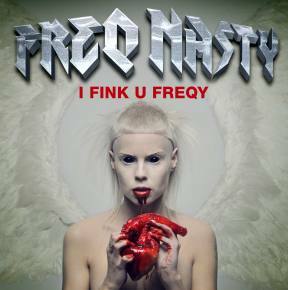 To download the podcast, right click EPISODE 49 - FreQ Nasty and save the file.